We would love to have you visit with our Travel Trailer Specialists in Pensacola. This NEW 2019 Forest River Flagstaff Super Lite 26RSWS is ready to hit the nearest campground. Awesome floorplan that is spacious and full of cozy features that will feel just like home. Lovely private bedroom suite up front with overhead storage and night tables. 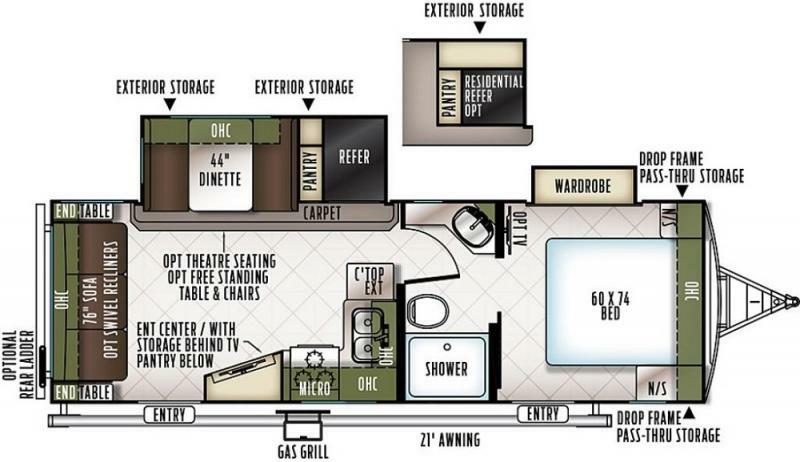 Roomy rear living area with theater style seating and fun entertainment center! 2 slides and sleeping for up to 6. Inside and out an impressive model!